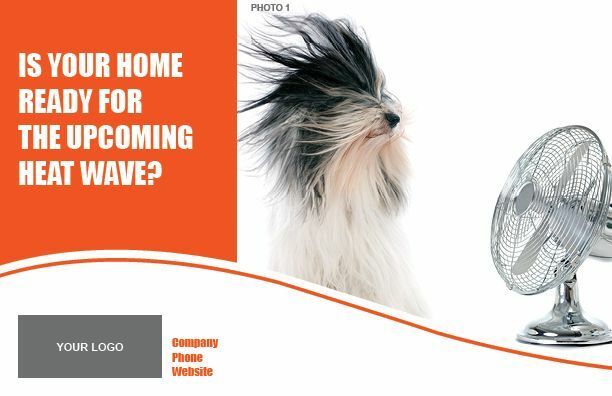 One smart marketing tactic for HVAC contractors is to include direct mail correspondence in your marketing strategy. Direct mail is essentially a marketing strategy that uses postal mail to deliver promotional information to your audience. And although postal mail may seem out of date in the world of digital, it can still be a great strategy for contractors and business owners. 1. Compile your mailing list. Make sure that the people you’re sending direct mail to will actually be in need of your services. One of the biggest mistakes contractors make during direct mail campaigns is wasting money by sending information to people who have no need for it. HVAC direct mail campaigns should be targeting older homes, or neighborhoods that were built X number of years ago and may be in need of new HVAC systems. 2. Make your postcard saveable. Try sending out postcards for your direct mail campaign. When designing them, highlight the most important parts of your business, and try to design a postcard that people can save for when they need it. Include pertinent information, like business name and contact info, as well as what exactly you do. Make it visually appealing, like something your audience would potentially hang on their fridge until their AC went out. 3. Include a special offer. Include a coupon, discount, or special offer for first time customers that call after receiving your postcard. To create a sense of urgency, you can also put an expiration date on the coupon. That can help bring in an influx of new customers during an especially slow period. Another best practice is to include a testimonial or 5-star review on your postcards. People relate to positive reviews, especially the younger generations. Try a direct mail campaign the next time you’re trying to brainstorm a new marketing strategy, and see how it increases your sales and lead generation.